4k00:24Young stylish man in sunglasses and with backpack walking on stairs using smartphone. 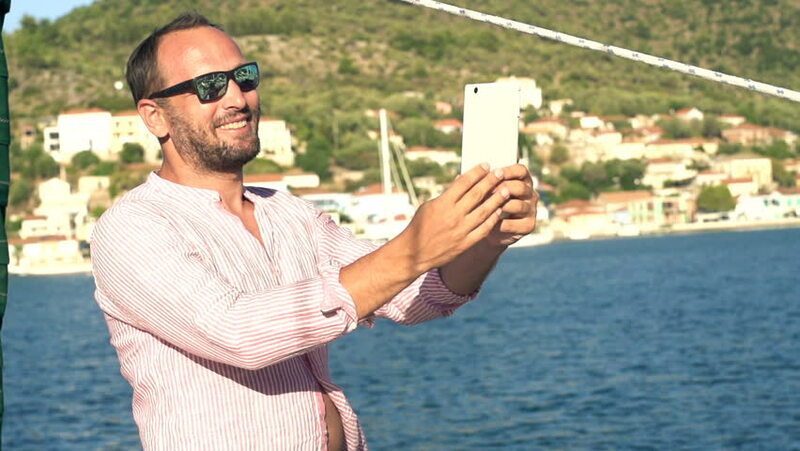 4k00:09Man taking selfies at the seaside. Young male sitting at the seaside viewpoint, taking selfies with his phone camera. Shot at Budva old town, Montenegro.